If you fear that materials in your home or business may contain asbestos fibers, contact LA Asbestos Testing Labs today to have your suspected asbestos-containing material tested by the EPA approved, NVLAP accredited LA Asbestos Testing Laboratory. Follow the EPA sampling guide instructions, download a sample submission form, select the turnaround [TAT] that you would like your results, then send your sample[s] along with payment to the laboratory. 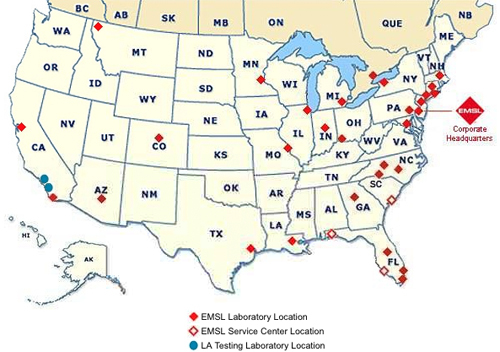 If you wish to use a local laboratory for asbestos testing, click on the map below and mail samples to the lab of your choosing.